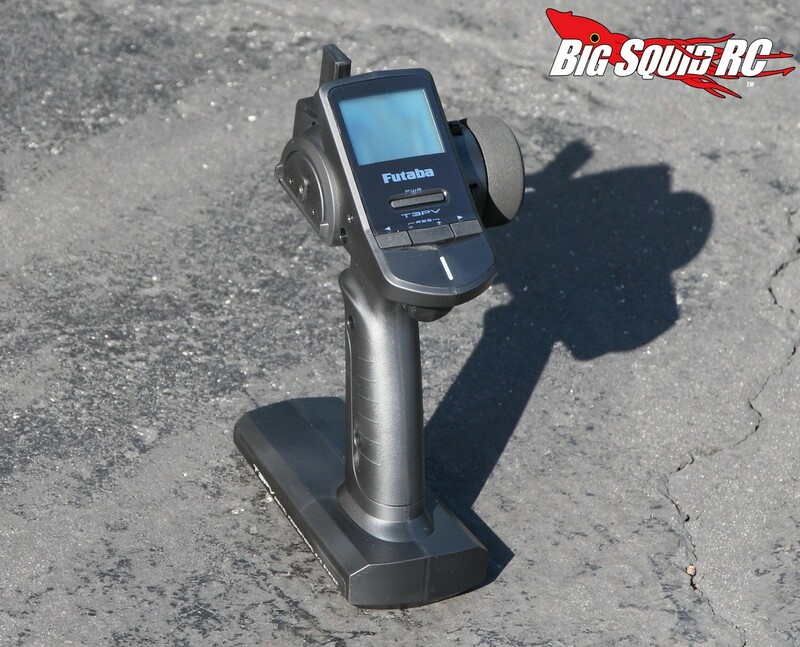 Futaba 3PV Radio System Review « Big Squid RC – RC Car and Truck News, Reviews, Videos, and More! What’s In The Box- The 3PV comes in two different versions. One comes with a higher-end R304SB receiver (the same one that comes in the 4PX) that is capable of telemetry, the other comes with a R203GF that is not. 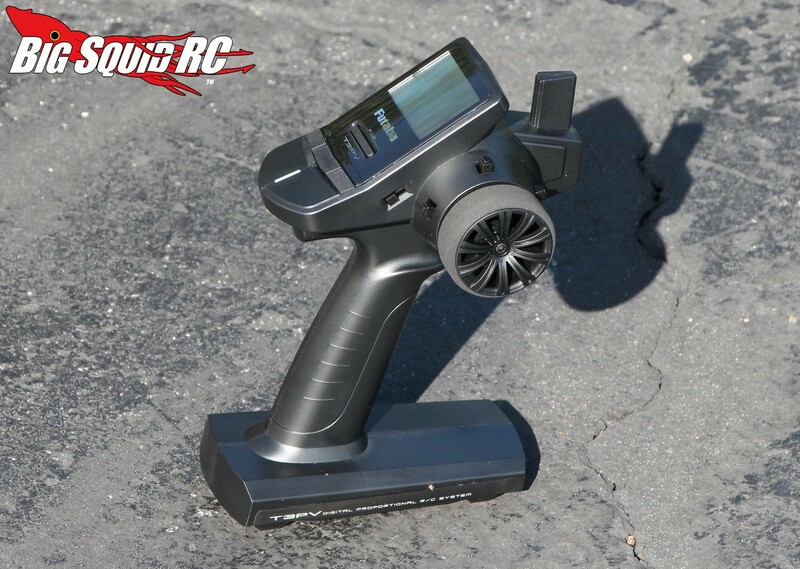 Our test unit came with the R304SB. Of course you get the 3PV transmitter, plus a large owners manual. A small (and old school) plastic screwdriver is also included (bonus points if you remember using one to set your speedo with). 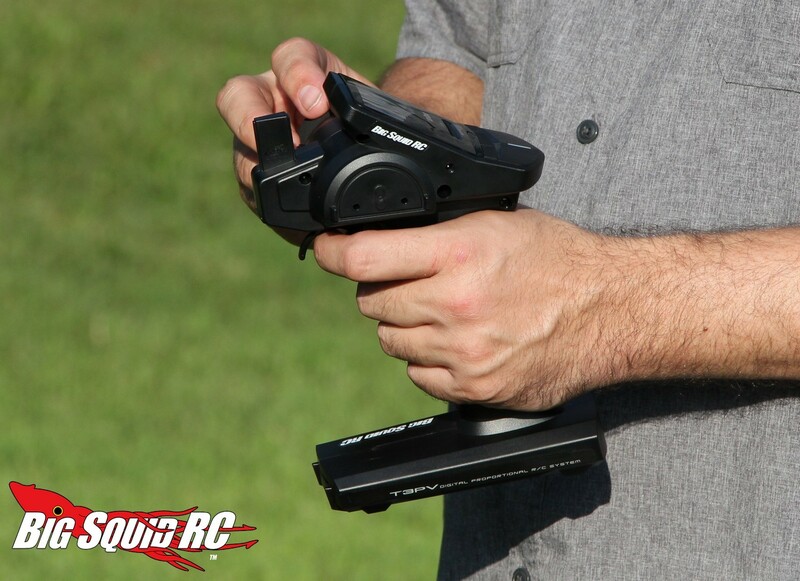 Build Quality- After giving both the transmitter and receiver a close inspection, we could find nothing amiss with their build quality. Test Drivers- Iron Mikeee, Robbie G, Sam The Noobie, T-MO, and yours truly. 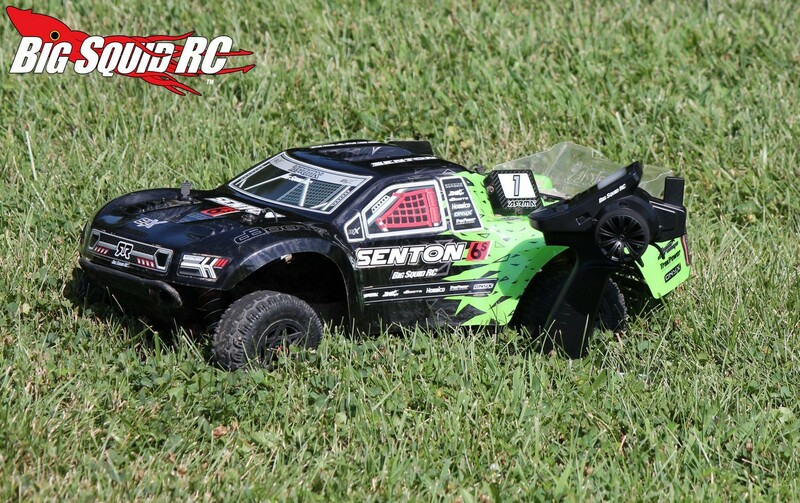 Set-up Notes- We installed the 3PV in two different vehicles, a 2016 ARRMA Senton brushless 4wd short course truck and an ARRMA Raider XL 2wd buggy. We used Duratrax AA cells in the transmitter. Feel In Hand- Our test crew as a whole really liked the feel of the 3PV. Many times, radios that feel light also feel cheap. That wasn’t the case with the 3PV. 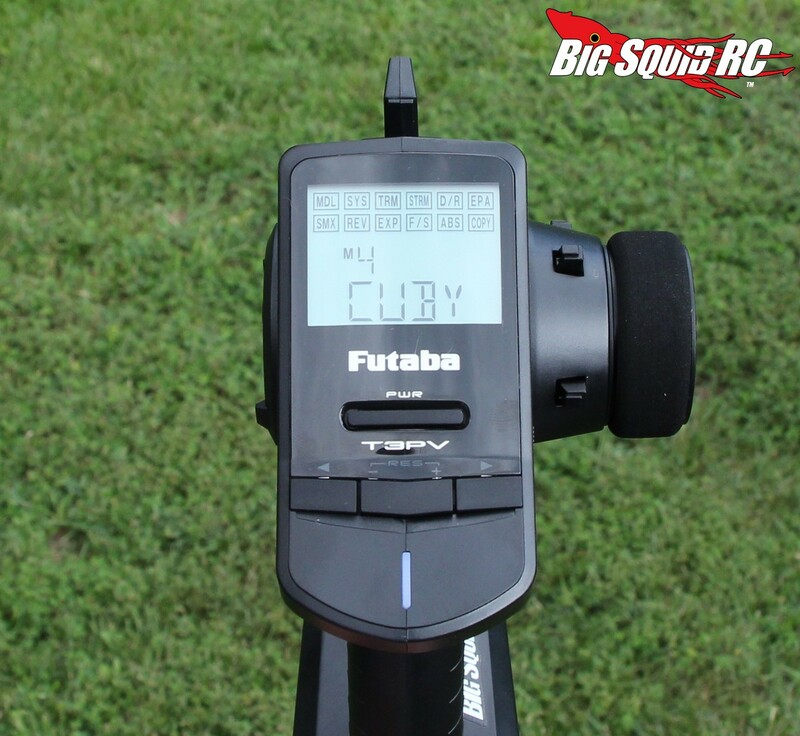 The Futaba is indeed very light when held in-hand, but the materials used gave it a high quality feel. 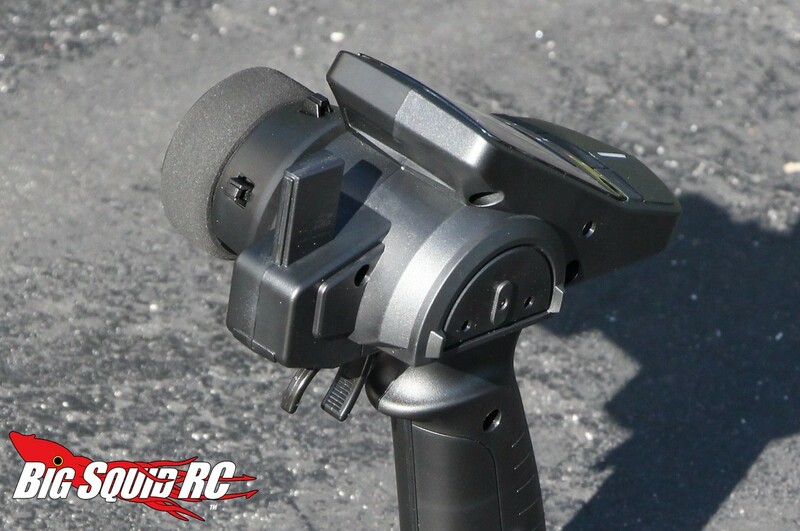 The grip has a neutral shape with some slight ribbing on the backside. On its front side there is a more definitive rib that is perfectly placed. This makes it easier to always have a solid grip on the radio. The trigger was also well liked. It also has slight ribbing on its flesh side to provide a bit of friction for better control. The trigger also fit a variety of finger sizes- it wasn’t too tight, it wasn’t too loose, it was right in the “medium” realm for size. For the wheel, it was covered in a high quality foam. The foam is somewhat firm and felt much higher quality than found on RTR radios, but wasn’t as good as what comes on higher-end radios like the 4PX. As far as ergonomics, the relationship between the grip/trigger/wheel felt natural to a variety of different hand sizes. None of our testers disliked the feel, in fact most thought the ergonomics were spot-on for a non drop down wheel unit. One more note here, as one handed driving becomes more popular (yes, it’s a “thing” with the photography/video/scaling crowd), we found the 3PV very easy to drive one handed. Ease of Use- We had no qualms with using or setting up the 3PV. The receiver was easy to install, and it took no time to pop in 4 AA batteries to get the transmitter up and running. As far as programming and setting up the radio to a particular car is concerned, it was different than previous Futaba units, but not hard. We did have to crack open the manual to figure out some of the programming, but afterwards it was a piece of cake. 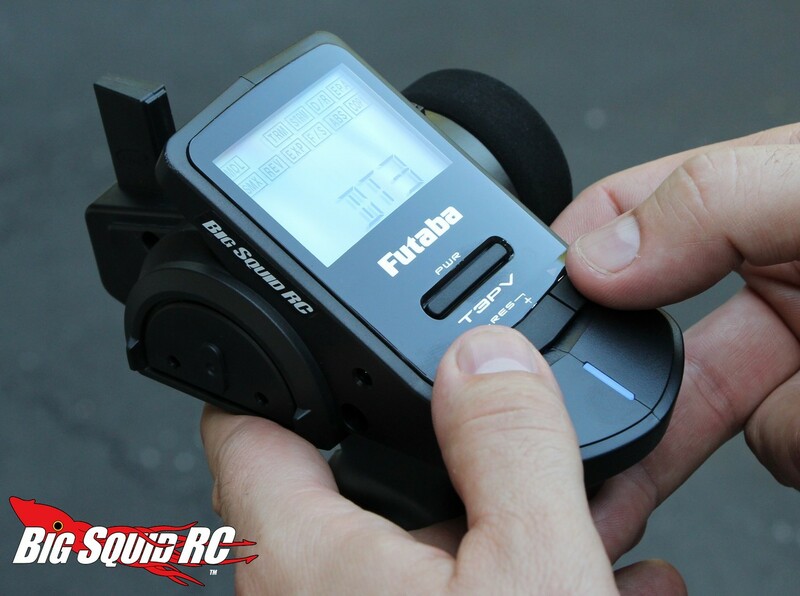 And yes, the Futaba comes with a good old fashioned manual, something they we prefer. Some drivers might think that looking up programming instructions off the web is better, but we bash at too many spots where there is no internet service available, that is why we feel a paper manual is the best way to go. 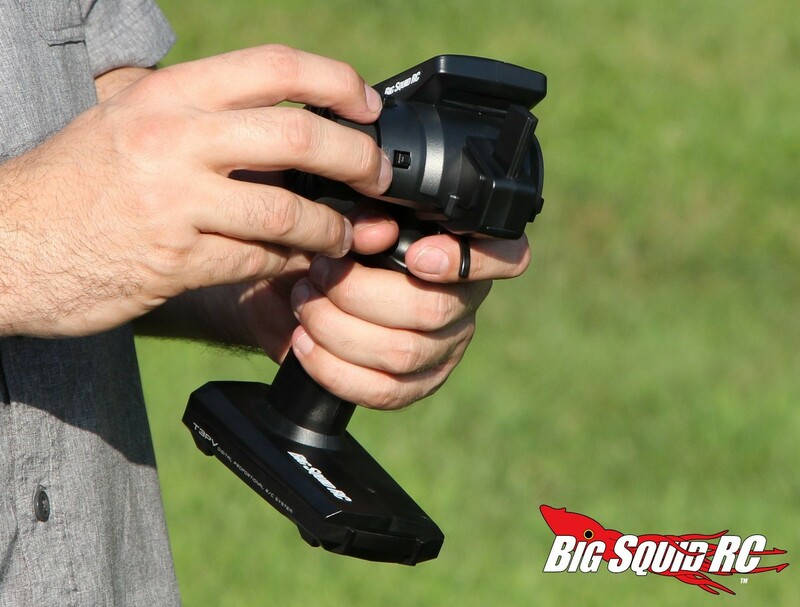 Features- For a $129 radio, the 3PV is absolutely loaded with features. No, we didn’t use them all, not even close, but for you uber-radio type guys, the 3PV can do a lot more than your average run-of-the-mill RTR unit. While we just used basic functions like channel reverse and trim in our installs, the 3PV is one of the cheapest radios you can buy for telemetry. To boil it down, at its price point its list of features is pretty impressive. Glitching- We never experienced any glitching during our testing period, not even a hint. Our 3PV was unfazed by overhead power wires, cell towers, and brushed or brushless power systems. 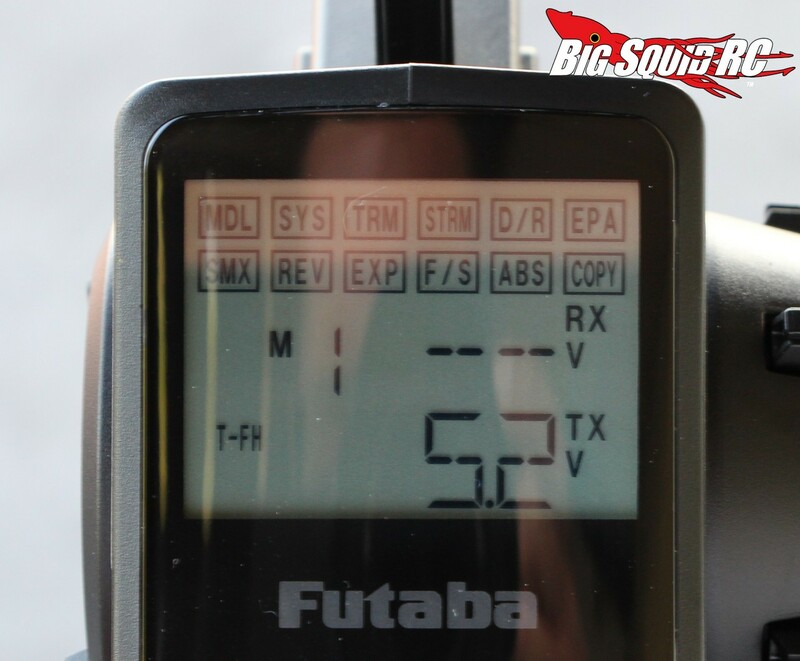 Driving Performance- The Futaba website states that the 3PV is a “Super-fast system for demanding drivers”. We will absolutely agree with that statement. In fact, we had a hard time telling that it was any slower than much higher priced radios. Overall, it felt noticeably quicker than a typical RTR unit. Steering felt nice and linear to both sides, but more impressive was its throttle control. Some RTR units seem to have a non-linear, and quite soft, throttle throw. That wasn’t the case with the 3PV. The throttle on our test unit had “perky” throttle response right off of neutral, feeling both fast and perfectly linear. When we went back-to-back against a much higher-end radio (I’ll just say it, a 4PX), the 3PV felt impressively fast. 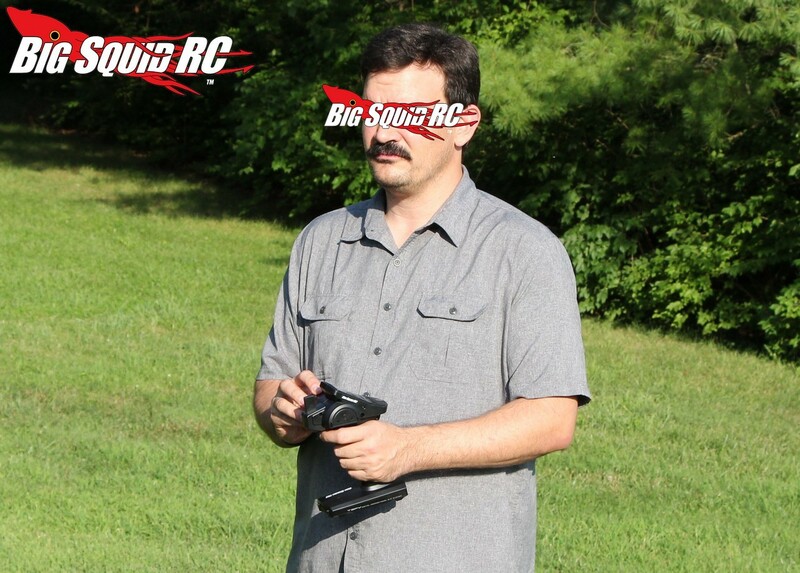 Not quite as fast as its higher end brother, but still so fast that we couldn’t believe it was a $129 radio. Radio Range- Long, really long. So… we were too lazy to step it off, but we never ran out of range during normal bashing. No, we didn’t run high speed with it where you can use every inch of range you can get, but for “normal” bashing the 3PV had more range than we ever attempted to use. Durability Testing- Oh yes, our favorite part. We dropped the 3PV from various heights and it did not break. We did have the battery door fall off and the AAs scatter out on the ground, but the radio itself could take a good hit and still work afterwards. 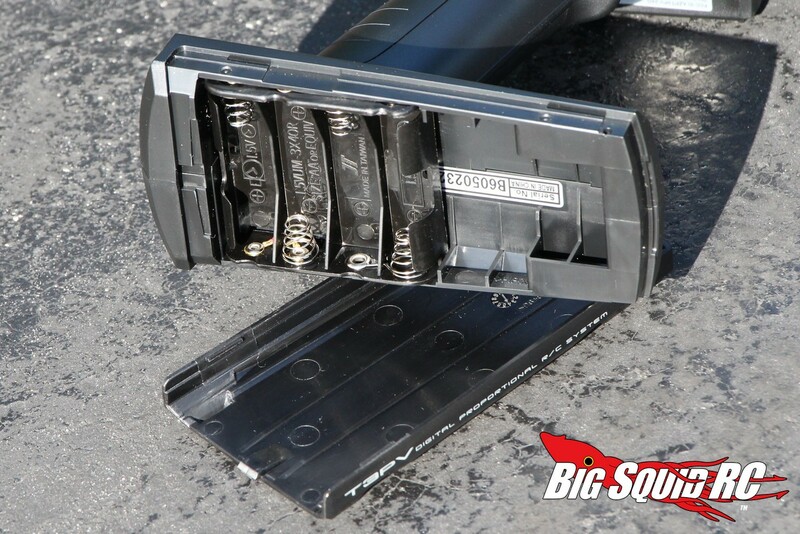 This is good info to know if your 3PV accidentally gets knocked off a tailgate or a young user accidentally drops it. About programming. The 3PV is the first radio that we have reviewed that uses the steering wheel during programming. That is a bit odd at first, but we found that it actually made programming faster. The LCD screen is easy to see in nearly any kind of light. It isn’t a high-end display like what is on the 4PX, but it uses large characters that even us old guys with poor sight could easily read. Maybe we are spoiled, but we missed some sort of electronic stability control on the 3PV. While not legal for racing, stability control comes in really handy for bashing and the 3PV doesn’t have it. We really liked the on/off switch. It is found right under the display and you have to hold it to turn the unit on or off. Have you ever “accidentally” hit the switch on a RTR radio, then go to use it a week later just to find that the batteries are toast? Yes, the on/off switch on the 3PV totally prevents that problem. Time To Bash: A Depending on your vehicle, it can take less than 5 minutes to install and have the 3PV programmed. And while we did have to refer to the manual a couple times for programming, overall we found it really easy to use. Car Show Rating: B One glance at the 3PV and you can see that the designers at Futaba wanted it to have a modern look. We feel they hit the mark. It stands out in a crowd and our review staff really liked how it looked. Bash-A-Bility: A Like everything we review, we treated the 3PV very poorly. And it survived. That is the reason it gets an “A” in this category. Range: A It is a Futaba, do we really need to say more? 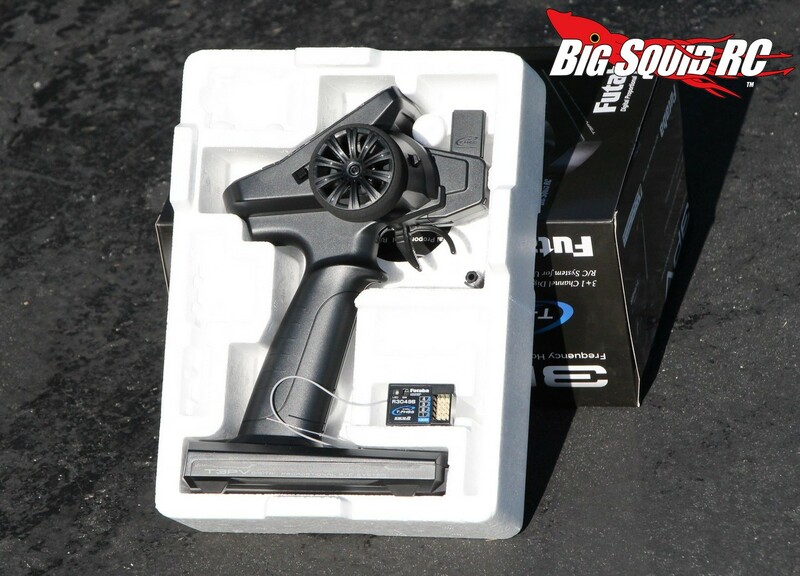 Value: A The 3PV is very affordable, it is super dependable, and it has a bunch of features. In our eyes it is a fantastic value. 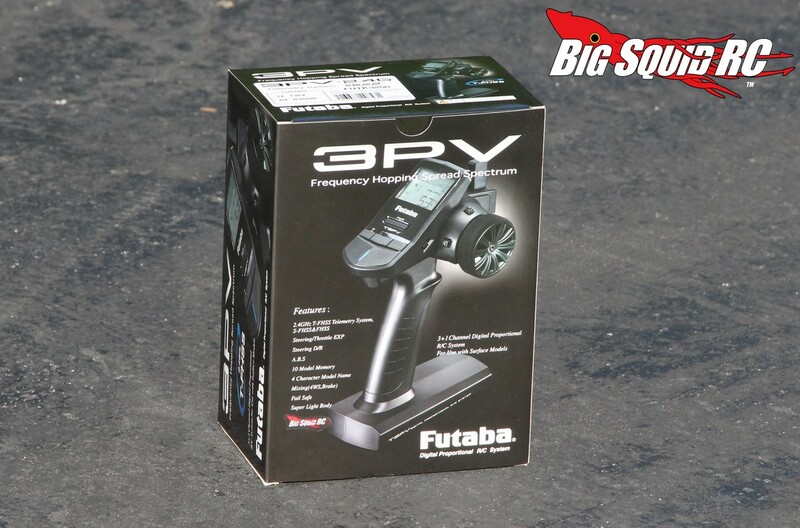 Big Squid Rating: A- The Futaba 3PV is a fantastic radio. It is affordable enough to hit the budget of the average basher, while offering mid to high end performance. We are huge fans of the 3PV, if you are tired of driving a Joe Blow RTR radio, your cash will be well spent on the 3PV.